When it comes to the Air Max line, Nike has been more interested in delivering fresh colorways of their brand new model the Air Max 720, as well as a refined version of last year's offering the Nike Air Max 270. While Nike is looking towards their future, they have no problem going back to their past for some nostalgic vibes. 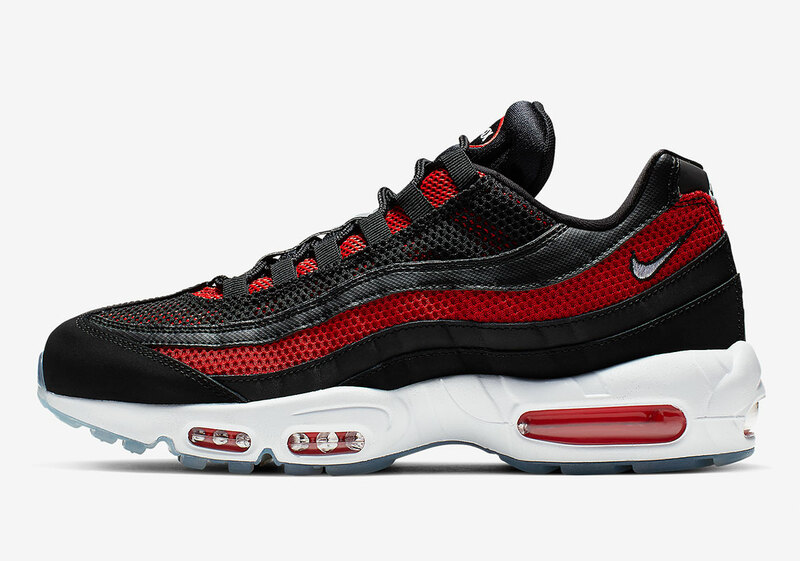 With this brand new colorway of the Nike Air Max 95, that's exactly what the Beaverton brand is doing. The Air Max 95 isn't the most popular vintage Air Max model, although it's still a classic and Nike certainly has an affinity for it. This colorway is dubbed "Bred" and for good reason. The shoe is covered in black suede and mesh, as red hits are found along the sides and on the tongue. Meanwhile, a white midsole and icy blue outsole make up the bottom half of the shoe's construction. It's a classic look with a modern twist that Air Max aficionados will surely appreciate. You can find these kicks over at Nike.com for $160 USD. A good amount of sizes are still available.